This project features a simple but striking patchwork design inspired by an Amish cot quilt from the Sara Miller collection. 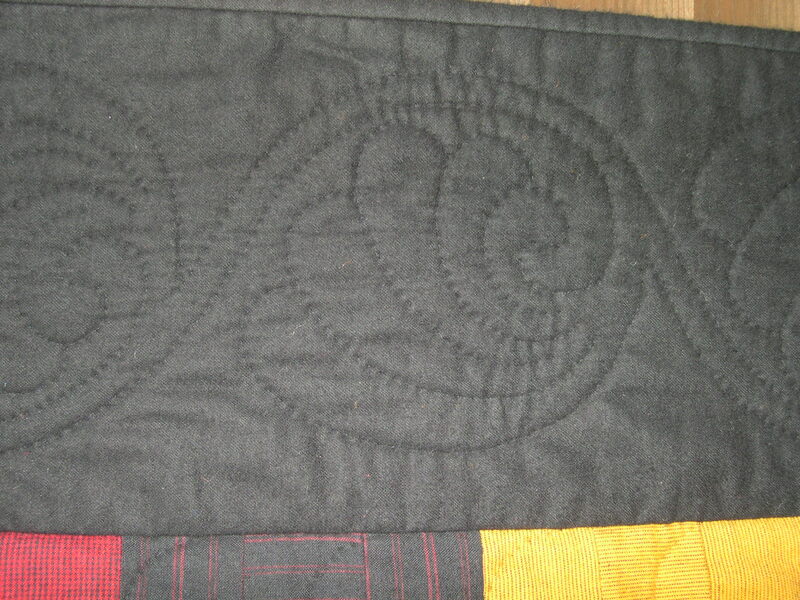 Quick pieced by machine, it rapidly makes a lap quilt, or wall hanging of finished size 46” x 55”. 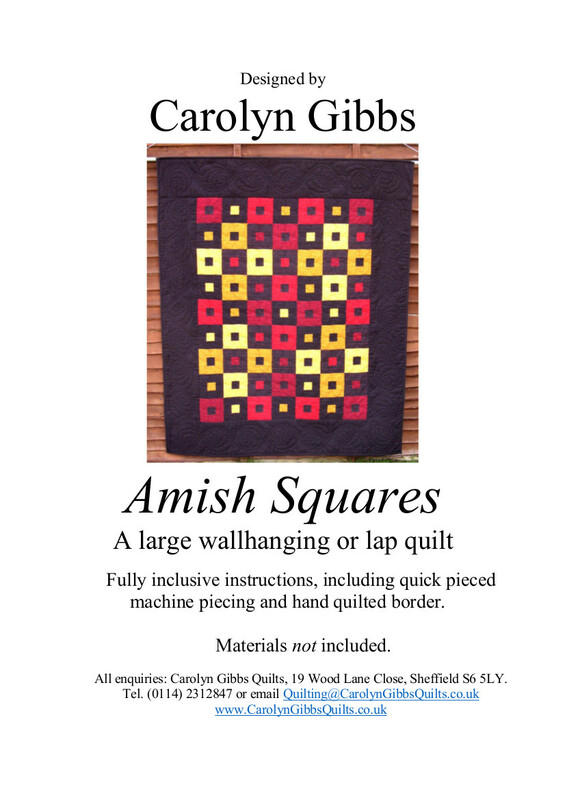 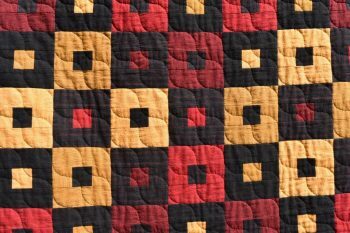 I selected flannel fabrics in red, yellow and black – you too may wish to select strong, deep colours in the Amish tradition, or obtain a completely different look with a more gentle colour scheme. 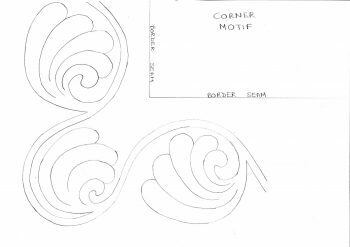 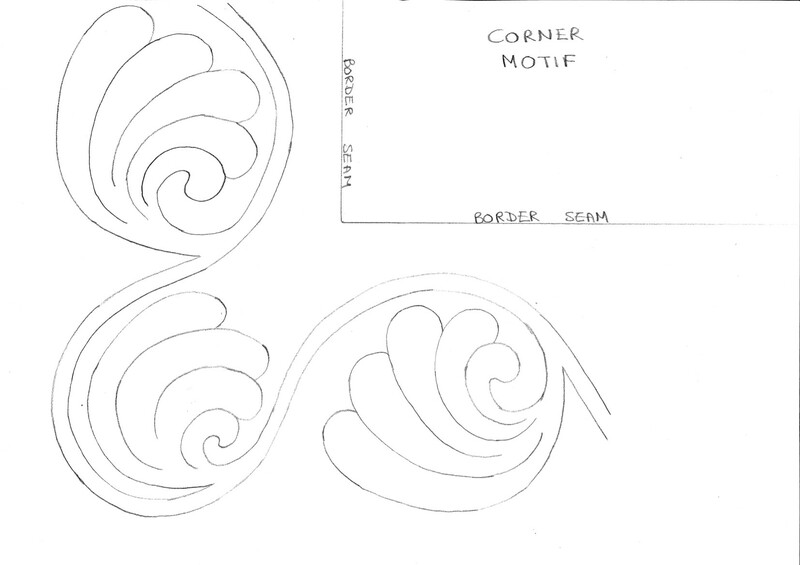 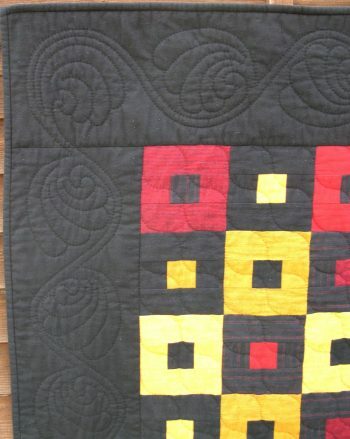 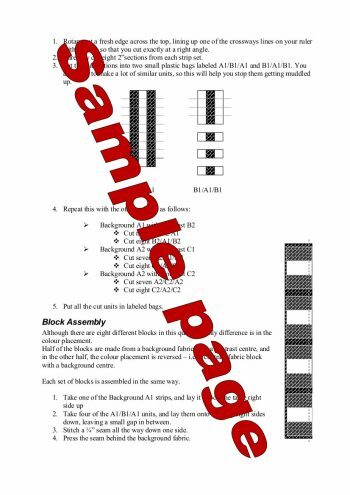 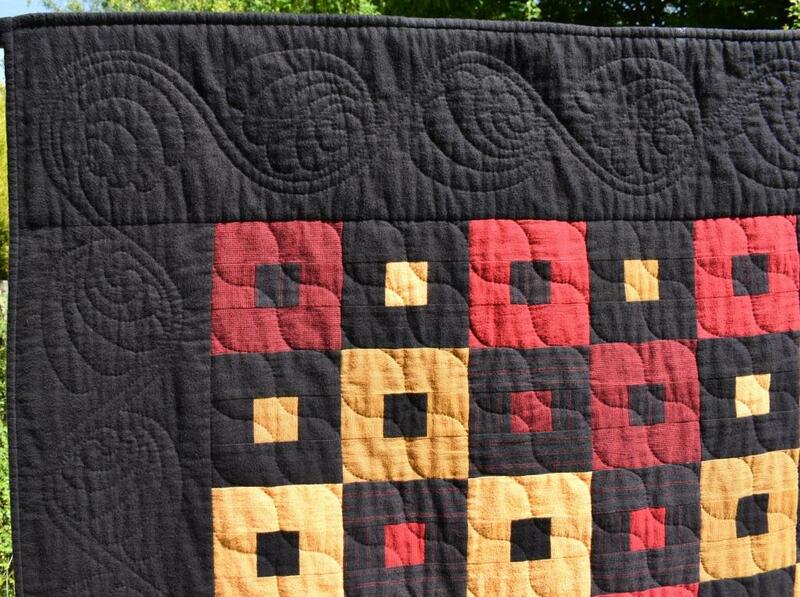 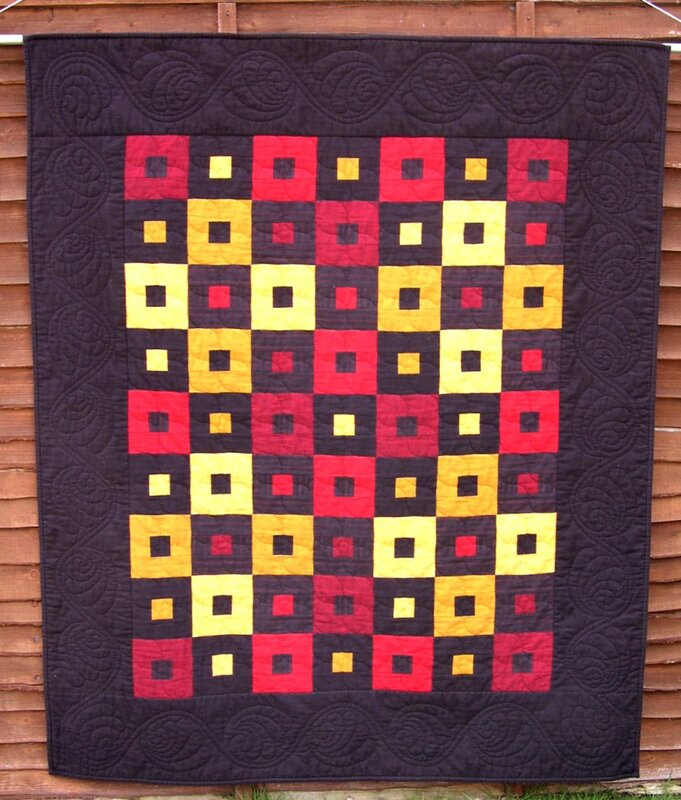 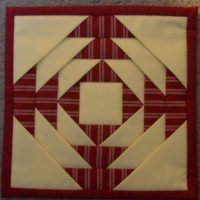 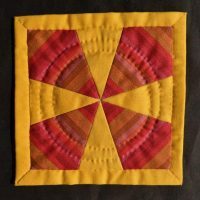 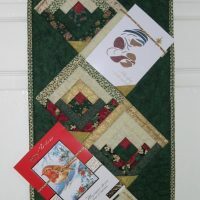 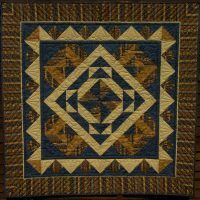 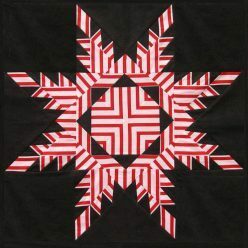 The body of the Amish Squares quilt has an overall waving grid quilting design, and a beautiful hand quilting design of paisley shells is supplied on separate A3 sheets for you to use for the border.